It's a well known fact that I love my food and I'm not the healthiest of eaters. I dabble with the Weight Watchers diet to keep myself in check but if I'm honest that's gone out of the window of late due to some more shocking than usual eating habits. 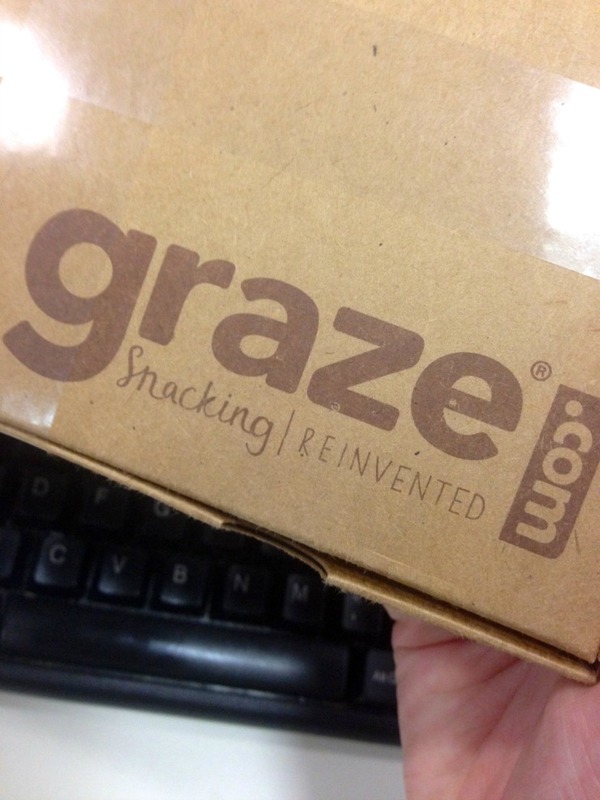 The saving grace to my 'bad' moments are my weekly Graze boxes which I have delivered to the office. Typically I would travel into work armed with a Special K bar and a packet of crisps and if either of those were missing I would visit the coffee bar at work and an apricot pastry would make it's way on to a plate. Recently I've been trying to change my eating habits to accommodate both my lifestyle and acceptance of excuses I'll make to enjoy a treat here and there. As I just mentioned if I'd forgot or run out of my Special K bars of a morning I'd go for the easy option, likewise biscuits are in abundance in my office so if I felt the need for a late afternoon pick me up that's where I'd head. 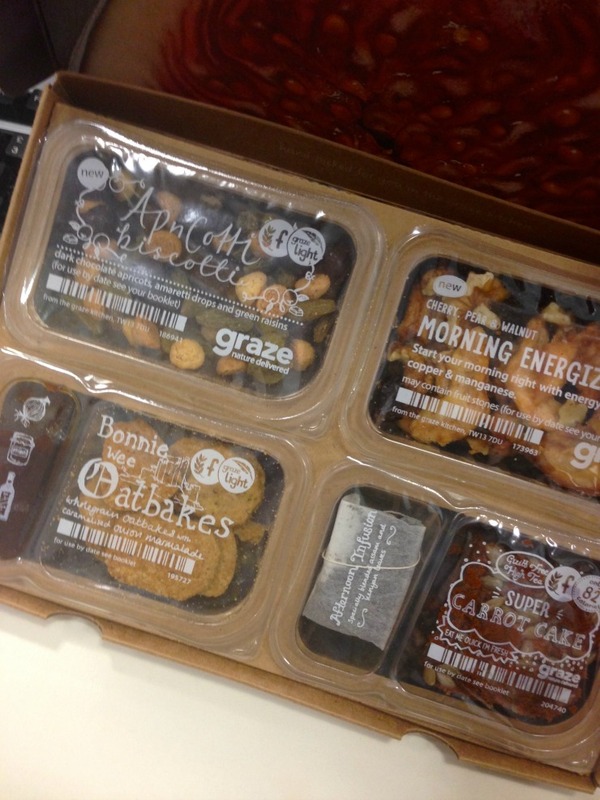 So enter the Graze box. Obviously I just assumed it with all nuts and berries which aren't foods I'd naturally migrate to and whilst that is largely the case I've found the little boxes of snacks I have delivered each week have been enjoyable and I actually can't remember the last time I had either a Special K bar or packet of crisps. 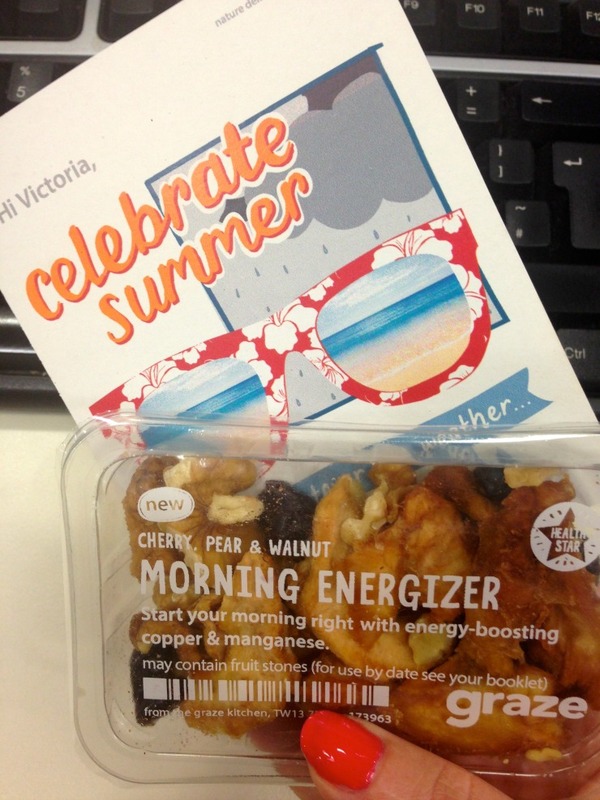 Each week my office post guy enjoys placing the Graze box on my desk announcing 'You're nuts'… and I enjoy opening the box to see what delights await me. I've gone for the lighter option because of my weight watchers diet and the individual boxes range between 2 and 4 points. I really struggle with portion control, especially on savoury snacks yet found the small box of tortilla chips for example are quite sufficient and likewise the box of pistachio nuts can sit on my desk for me to dive in and out of throughout the day. 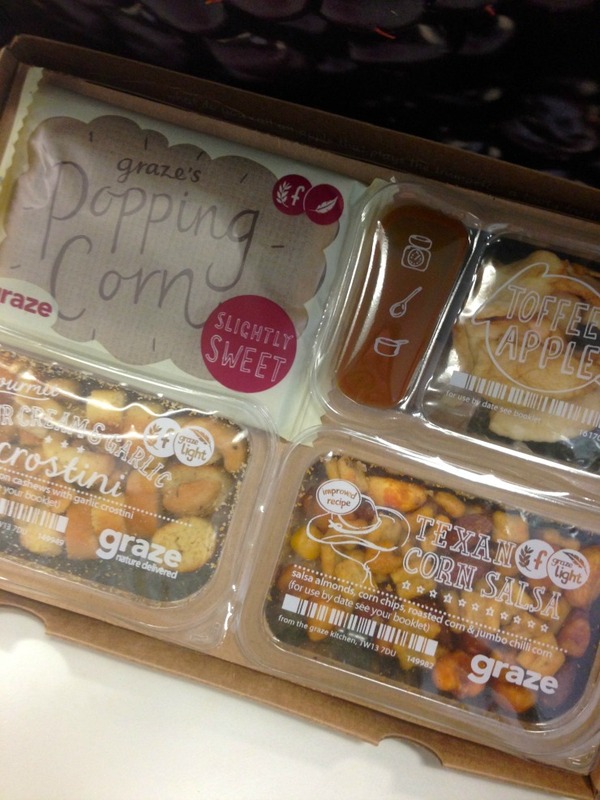 Every week Graze will email you to rate your box and there have been one or two things that I've binned for one reason and another and I can't deny I'm more of a fan of the savoury snacks than the berries although sometimes it's great to have to eat that box because I have no excuse to get something naughtier. I love some of the deconstructed versions of treats like Banoffee Pie or the Bounty Hunter and that satisfy my sweet tooth just as much as a packet of chocolate chip cookies would. The added bonus is these treats at work mean I'm not buying the crisps and snacks at all so they're not at home to tempt me either. All in all it's a thumbs up for me on the Graze boxes. There is a weekly expense but for ease this is the perfect solution. 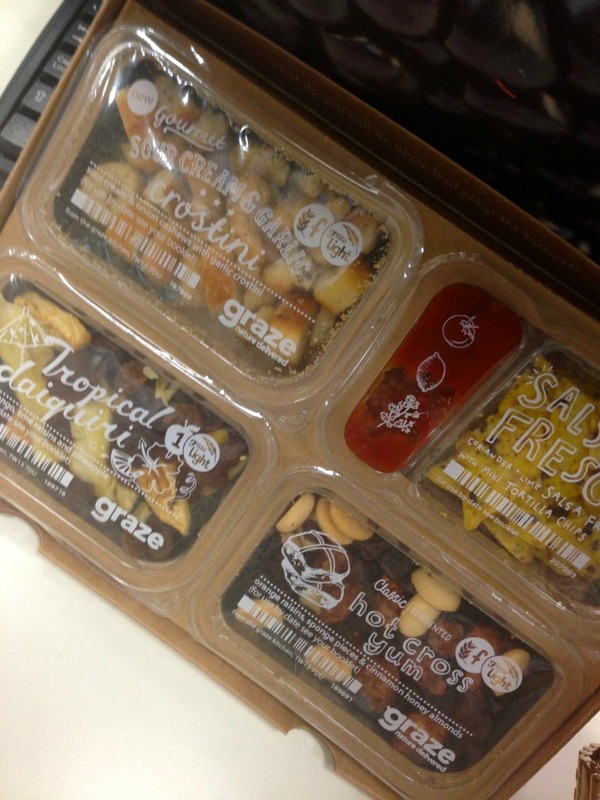 If you're interested in giving Graze boxes a try you can use this link and get your first, fifth and tenth boxes free. Let me know if you do. I've dabbled with Graze boxes a couple of times over the last few years, but I found that I got bored with the same old selections. Have just looked at their website, though, and it seems there's a lot more variety now. Maybe will give it a try again.